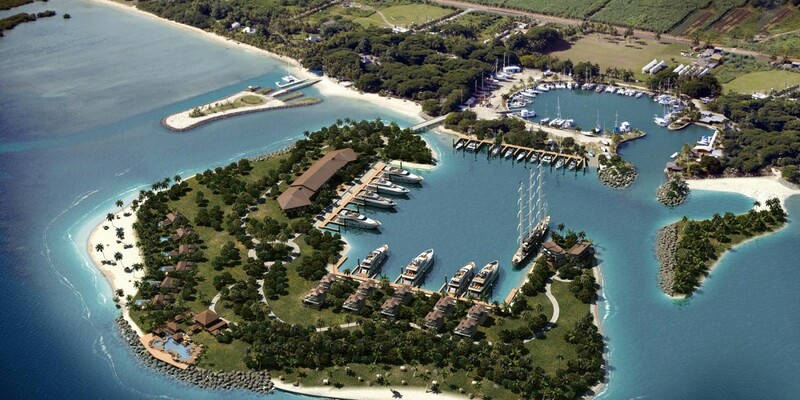 Vuda Point marina is planning to develop a new Superyacht extension to its existing marina complex. With facilities and berths (6m in depth) designed to cater for superyachts (up to 65m in length), the development upgrade offers many unique investment opportunities. Different choices of buyer packages include privately owned luxury villas, each complete with own private berth, independent marina apartments as well as beachfront villas with sunset aspects. This new luxury marina annex will also include quality amenities, sporting facilities (swimming pools, tennis courts, water sports) and commercial spaces. Vuda Marina is currently tendering for an equal share development partner. For more information please contact Vuda Marina head office, Fiji Islands (see contacts).